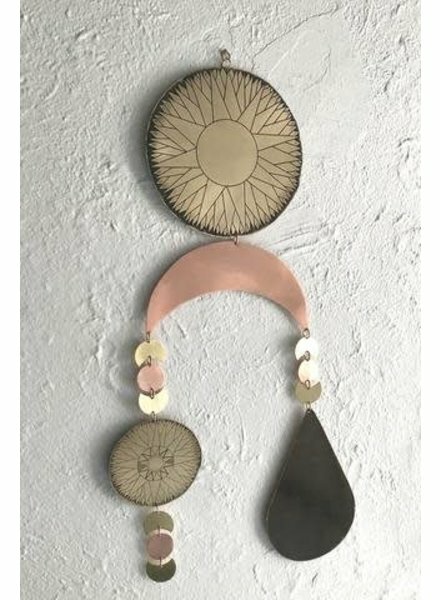 The accent piece we never knew we needed. The handled, metal tray features a bold painted print of a vintage, French Absinthe ad. How chic is that? The accent piece we never knew we needed. The handled, metal tray features a colorful print of Canne's cityscape, inspired by a vintage French postcard. How chic is that? A tumbler with artistic flair, featuring etched flowers and ferns with a sweeping "Amour" written across - and love it we do! An elegant addition to your bar cart. 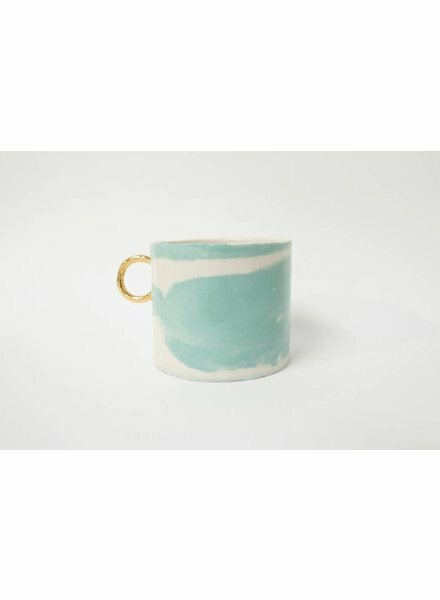 This is a dainty and unique handmade mug with a beautiful accent of traditional 22kt gold luster and a glossy finish on the surface and inside. The colored clay, underglaze pencil, and gold accents give the surface a unique variation and texture. Add extra magic and a pink vibe to your day with this handmade porcelain mug built with stained pink and white slabs. It has a beautiful marbled look and a raw finish on the surface and a glossy finish inside. Holds 6 oz of your favorite drink. This is a handmade espresso shot mug built with colored porcelain. It has a beautiful accent of traditional 22kt gold luster on a ring shaped handle, a raw finish on the surface and a glossy finish inside. Think and drink in colors with this beautiful hand-built cup. Turquoise is soothing and calm to set the tone for a moment of peace within your day. This cup has is accented with a beautiful 22kt gold luster on a ring-shaped handle and a matte soft finish. 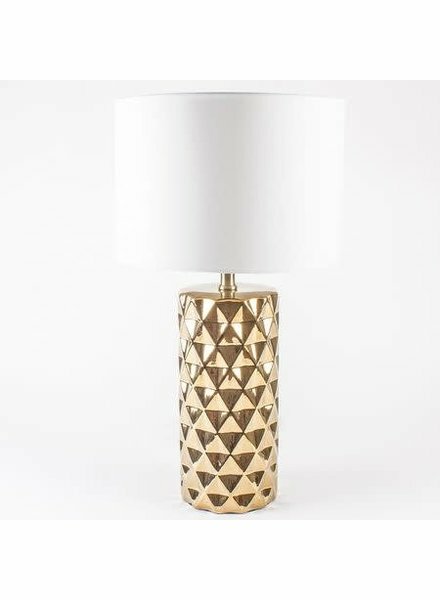 Light up any room with this modern, art deco inspired lamp. The textured gold base adds a touch of glam, perfect for your desk, bar cart, or bedside table. Crafted of crisp white ceramic, this mermaid tail vase brings a wondrous coastal feel to any space. Fill with fresh or faux floral arrangements, dried botanicals, or organize kitchen utensils with style.